Red Texas cichlids for Sale: These beautiful and extremely colorfully hybrids can be challenge to find. Red Texas juveniles are available here seasonally with limited quantities. 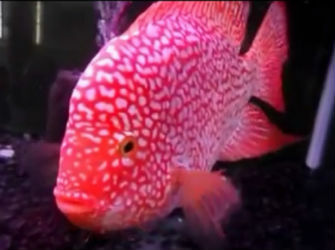 There are different variations of the Red Texas cichlids based on color variations and pearl scaling. This also depends on what cichlids are crossed to achieve this desired result. The most obvious reason hobbyists are attracted to them is due to their striking red color and white pearl scaling. 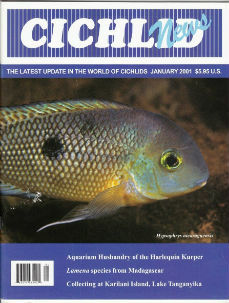 These cichlids are without doubt the most easily recognizable of the hybrids or cross breed cichlids like Flowerhorns. Unlike Flowerhorn fish their body shape is different from the traditional Trimac body shape which is easily recognizable in most Flowerhorn varieties and clearly different than Parrot cichlids. One can easily spot Parrot cichlids due to their compressed faces and highly stunted body shapes. The Red Texas seems to have the same profile of Herichthys cyanoguttatus or Texas cichlid. 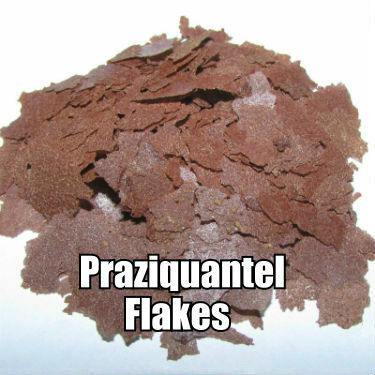 At any rate there are different levels of grading’s or color ranges relative to Red Texas specimens and this makes sense given the differently colored ones being offered for sale online. One would think their all supposed to be red, right? According to Flowerhornrus Red Texas cichlid fish is the most popular cross breed in Thailand. This is no surprise given how stunning they can be. This begs the question how do you make a Super Red Texas cichlid anyway? There are different variations of what species are crossed to produce these fish but according to Flowerhornrus they are a cichlid cross between a male H. carpintus and a female with beautiful color and markings from any of these varieties: Parrot, Flamingo, King-Kong, Redshock and Redsin. The folks over at Aquaticcentral suggest breeding a green Texas cichlid with a Mammon or King Kong parrot, then crossing the offspring back to the parents until a consistent red color was achieved.